An artist's delight. 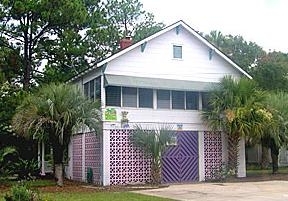 Circa 1930's beach cottage built by Judge Sol Clark. Filled with original artwork and vintage furnishings. Few minutes walk to 10th street beach. 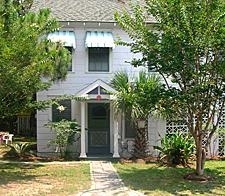 Updated Old Tybee Beach Cottage just one short beach block to pedestrian crosswalk on Butler Avenue to ocean. Beach Cart, Bring your favorite beach chair There may be some there, too. Full bath in Game Room - This bath has no heat or AC Beach Bathroom, rest of the house does. Outside: Oyster Pit and Grill area with picnic table, benches, chairs and lighting.